Imagine going to sleep amongst a meadow of wildflowers…. Kids prints don't necessarily have to be colourful and exciting. Why not introduce delicate nature motifs to your little ones early on. They need calm like the rest of us. 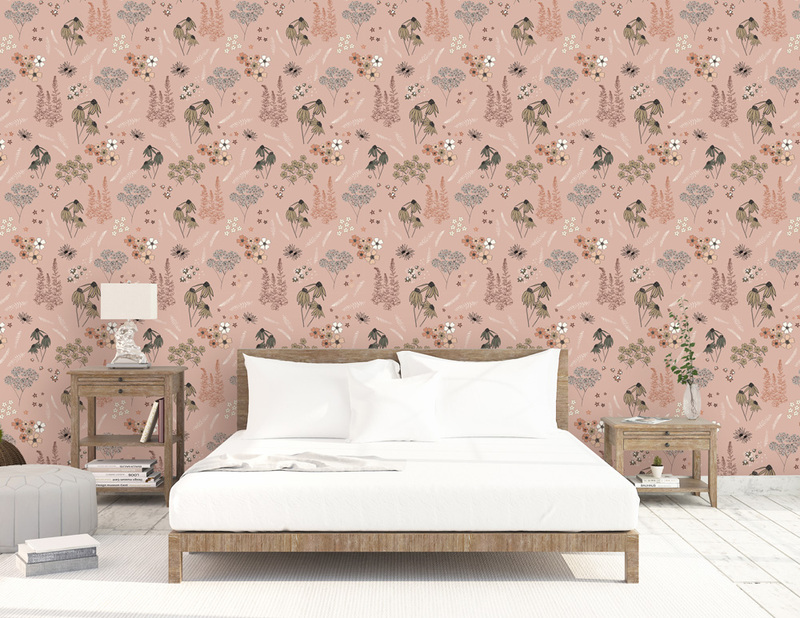 ‘Yarrow' in Earth is a nice choice if calm and tranquility in the bedroom is important to you, either as a wallpaper or curtains. Mix and match lampshades from my American Prairie collection. Lampshades in various sizes will be available from my shop later in the year.